We will be changing our Scrapbook layout and tweaking the content this year. We know you have all been dying to know more about the team and what makes us tick so your wishes have been answered. Each month we will look at what has inspired our team, what music we are listening to and what we have been doing outside the office. We will still be highlighting the amazing work the team produce, but we want to offer a behind the scenes peak into the Fanatic Studio. We have been working on this project for a few months now and we are getting closer to finally launching our rebrand of Carmichael Fisher. They are one of the world’s leading global executive search firms, and wanted a new look brand and website that demonstrated this. There’s lots of exciting things in the works, including a full rebrand, animation, a brand new website and some extra bits and pieces. Before Christmas we showcased some abstract pattern illustrations the design team had been cooking up. This month we thought we’d show you something a bit more polished! Check out this funky little animation our designer Tom put together, demonstrating the breakdown of the logo and how we came up with the new icon. It was a busy year for our digital marketing team. A whole new look to the team has brought in a range of talents and skills. These have been put to good use with an improvement the our processes, great communication with clients, clear information on ROI and most importantly fantastic results. Our team have been using a range of new programs and technologies which have seen huge benefits to our clients. Innovations like Heatmap tracking have allowed us to make data-driven recommendations about web design, user experience and conversation rate optimisation. Being a small agency means we can bespoke and tailor our approach to each client based on their needs and targets. All of this has led to our marketing departments gross income growing by nearly 62% in 12 months as we began January. With the Six Nations starting soon we enjoyed getting our teeth stuck into a rugby project this month. Sam put together a brilliant advertising GIF for Heat Recruitment, who are one of the main sponsors of the Bristol Bears. They were sponsoring Bristol’s west country derby clash against Exeter Chiefs in the Premiership Cup and used us to create something to be played at the stadium on match day. We love the final design! Tom’s been looking at designer and illustrator Ben Johnston. 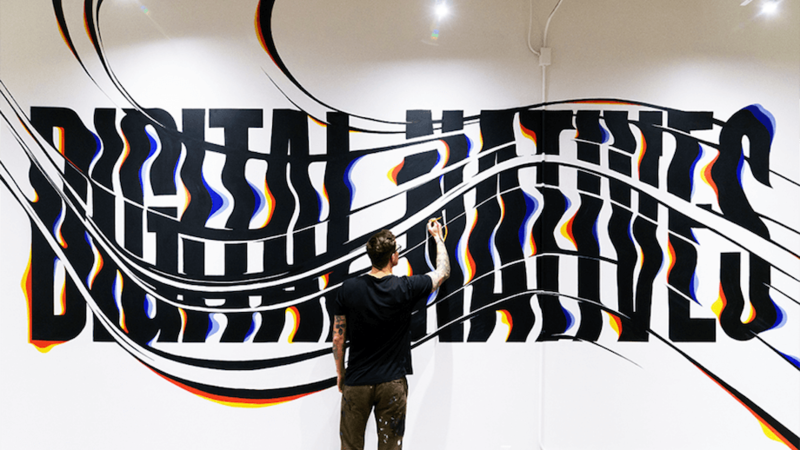 His work demonstrates his vibrant and often large scale typography designs, which are all painted by hand! You can see more of Ben’s work on his Twitter feed. Sam’s been playing the latest game launched by BANDAI NAMCO Entertainment Europe. 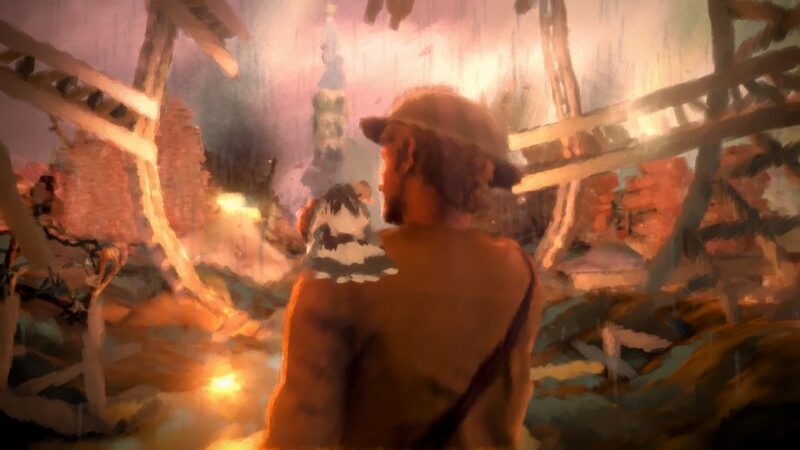 The game is a story driven narrative adventure game set during the Great War. Sam has been keeping a blog on his experience and inspiration from the game. If you have checked our Instagram feed then chances are you will have seen some of Sam’s fantastic illustrations. It’s no surprise that Sam is often asked to utilise those skills outside of the studio. 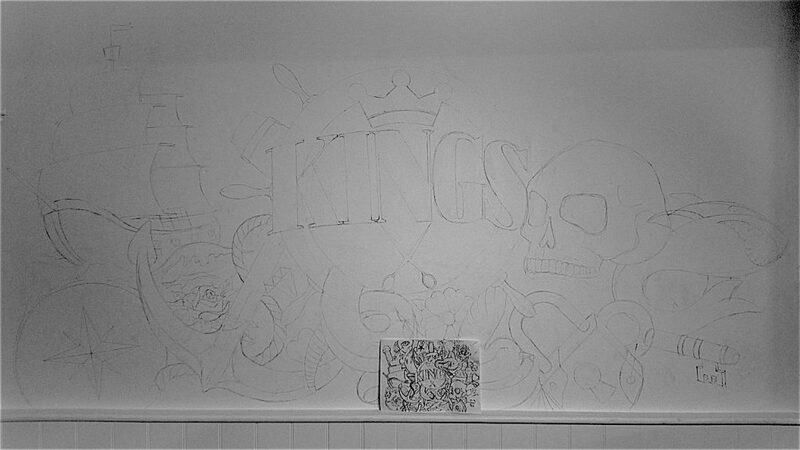 He has been commissioned by a local barbers shop called KINGS who have asked him to decorate their new shop with a large scale artwork on their back wall. The style is heavily inspired by tattoo art and nautical themes. This piece is 8ft by 4ft and currently Sam has only just sketched out the general composition in pencil, next will be moving onto the pen work next! We can’t wait to see the finished product! 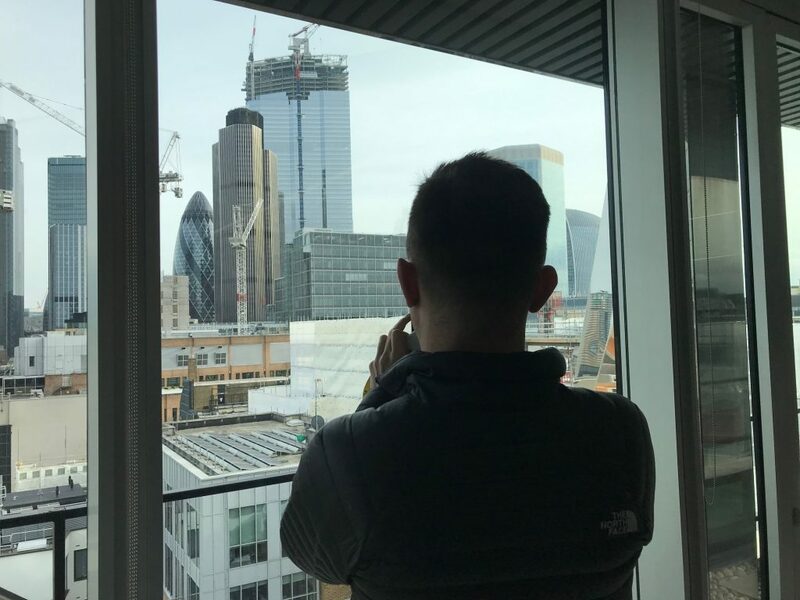 We call ourselves The Biggest Small Agency in the World for a reason and our work goes global, but the majority of clients are based in London, so we’re out and about with clients in London 2 or 3 times per week mostly. We always think meeting and talking face to face helps us get to know our clients and their briefs better, and with that understanding we can keep producing the work we are known for.